No clue what to buy the special moms in your life this Mother’s Day? You’re in luck, we’ve put together a selection of incredible beauty items and pamper treatments to consider this Mother’s Day. If you’re looking to truly win the award for ‘favourite child of the year’ and mom is into music then this is the gift for her. JusBox forges a connection between music and fragrance. And Siren and Sailors eau de parfum pays homage to Amy Winehouse. In allure of her enchanting sweet-and-sour vocals and passionate lyrics. In addition, it features mesmerising melody of warm, sensual notes. Mom will absolutely love this luxurious feminine, Maison Francis Kurkdjian’s Amyris Hair Mist. Perfect beauty tool to help complete her daily beauty routine. It is alcohol-free, gentle on the hair while releasing a luminous and floral sillage. Infused with scents of lemon and orange, as well as amber-musk accord. TIA Sonic Skin Care System from BeGlow is an all-in-one beauty device that effectively cleanses, lifts and tones the appearance of skin. Moms skin will be rejuvenated again. It is 100% hygienic, reusable as well as effective. The sonic-cleansing brush is also gentle enough for everyday use and suitable for all skin types. This is that extra special gift, for moms extra special day. This 3-minute warming mask will truly brighten and retexture moms skin. It gently exfoliates and moves impurities, improving texture while leaving skin rejuvenated and glowing. And it is also suitable for both body and face. The Chapel Noctula rollerball fragrance is certainly perfect for on-the-go moms. Specifically blended with essential oils and infused with sensuous oudh, juicy red fruits, floral lily as well as zesty mandarin. Equally a perfect size that’ll fit in her party purse. Mom will love this Inner Senses Green House Cleansing Oil – filled with amazing nutrients such as Lycopene, Beta-carotene as well as Papaya enzyme to cleanse and revitalise skin. Gentle yet effective. And removes all residue of dirt and makeup, leaving skin toned, supple and also silky smooth. Institut Esthederm’s new Excellage range is inspired by women aged 50 and over, made with ingredients known to do wonders on skin with moms in mind. The Excellage creme is a truly amazing anti-ageing moisturiser that delivers triple action of density, nutrition as well as radiance. Time to repay mom for all of the sleepless nights you caused. Treat her to this exclusive collection from This Works. An evening detox naturally effective anti-pollution skincare that rejuvenates exposed skin as well as boosts overnight detoxification. Resulting in a clean, radiant as well as younger looking complexion. Mom is going to be excited about this one. Not only is this a chocolate but also the perfect beauty gift for Mother’s Day. 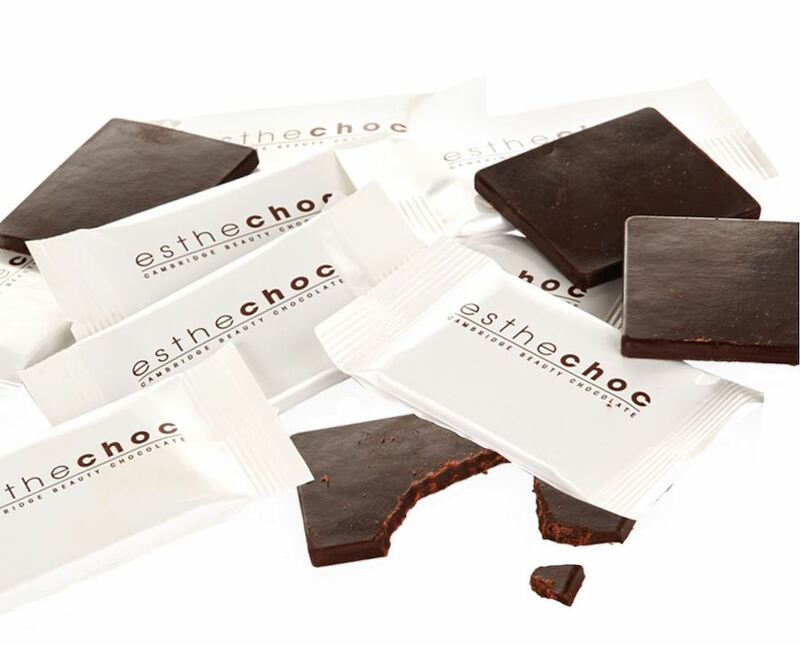 Esthechoc infuses Astaxanthin as well as the natural power of Cocoa Polyphenol to create Cambridge Beauty Chocolate. Although this is an anti-ageing beauty supplement with remarkable antioxidant properties made out of chocolate, it is also a food supplement that equally promotes healthy, luminous skin from the inside out. Naturally formulated facial wash that cleanse and purify oily and acne-prone skin. Key ingredient – Ayurvedic cold-pressed neem oil. This excellent antibacterial and antiseptic tonic will help treat moms blackheads, in addition to reducing excess sebum, breakouts and any toxins. Mom will appreciate this super rich and fruity luxurious blend of 5 essential oils infused in this nurture reed diffuser. Featuring fresh top notes of May Chang with the sweet, fresh scent of Roman Chamomile and the soothing aromatic base of Sandalwood. This will be a truly relaxing experience for mom. Mom is in for a treat with MasqueBar Charcoal 24K Gold cleanser. Firstly, it exfoliates, then purifies and also brightens skin. With a foaming formula that refines, cleanse and consequently illuminates skin. The least you can do is to get an immeasurable skincare supplement for mom. Biocell soft capsules helps to restore moisture to the skin, smooths fine lines and pores. A food supplement for the skin that contains hyaluronic acid. Keeps skin supple, smooth as well as youthful. Mom will feel the power of kaolin clay with this Nivea Clay Fresh; a deep cleansing body wash for pure freshness. Infused with an intense and aromatic Blue Agave & Lavender scent, leaving skin feeling pure, clean and velvety-soft. Oxygen fuels 90% of all body and mind functions. So what better gift than this for her on Mother’s Day. Boost Oxygen is a natural solution to the negative effects of low oxygen levels such as low energy, lack of concentration, exhaustion and even stress. A few deep breaths of Boost Oxygen will help her stay her best. This is the cutest mini fragrance ever. Must-have gift to add to moms mini collection. Missguided Rollerball Scents are the ultimate quick fix fragrance. Spoil her this Mother’s Day with this delicious new scent of rich amber and vanilla. The heart is an infusion of velvety rose with orris and violet whilst the top notes compliment with bergamot, pink pepper and red fruity accords. You can both enjoy a mini pamper session using matching 24K Gold peel-off face mask from Skin Republic and achieve a smooth and refined complexion this Mother’s Day. A truly luxurious gold peel-off mask infused with anti-aging benefits and fruit extracts that intensely nourishes and smoothes for a luminous complexion. If she’s a going-out mom, she’ll definitely love this warm velvet 18-Shade eyeshadow palette. This will help her create incredible looks from calm rusty browns to shimmering plums. You simply can’t go wrong with the new Mavala Solaris nail collection. We’re calling this collection the perfect pick for Mother’s Day. Featuring 6 long lasting shades with extra shine. Designed to make nails stand out and look amazing all day long. Shea Moisture Coconut & Hibiscus Illuminating Body Lotion, £10.99 and Wash, £10.99. Is mom suffering from dry skin, then this shea moisture coconut and hibiscus illuminating body lotion and wash would be perfect. A smooth and ultra-rich moisturiser which leaves skin nourished and hydrated.While the luxurious wash is enriched with a blend of nourishing and illuminating ingredients perfect for rough and dry skin.